Our youth are our future. What they believe will guide what they do. Attitudes, activities, and laws - all are derived from what we believe to be true, and what we believe is shaped by what we experience during our lives.It is popular now to view hunting as an enemy of Nature - at least it is popular for those who have never experienced responsible hunting, and who have not had the opportunity to learn how responsible hunting is part of the natural tapestry of nature and conservation. If we are to preserve the truth about the legitimate role of responsible hunting in the natural ecological balance of our world, we must teach our youth. They must have the opportunity to learn, by studying and by experiencing responsible firearms use. Only then will they have the information and knowledge required to make rational choices concerning firearms use, and to defend the legitimate role of hunting in the natural balance of nature. 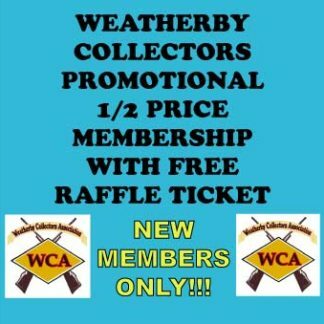 The mission of the Weatherby Collectors Youth Program is to provide them with that opportunity. You can help - by sponsoring a young person. It only takes a little time to make a very large difference in their future - and yours! Read about the Weatherby Collector's Youth Program!